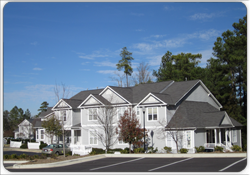 Situated in stunning Holly Springs North Carolina, Holly Glen takes pride in being known as a wonderful community that features a large selection of amazing homes and first class recreational facilities that's hard to find anywhere else! 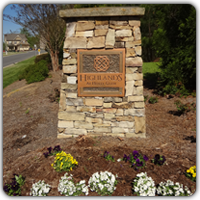 Holly Glen is one of the most sought after subdivisions with great re-sale in Holly Springs. 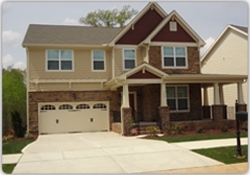 Currently there is 888 homes in Holly Glen which has incredible diversity in housing styles and prices in Holly Springs. Ranging from Town-homes to semi custom homes in the low $600's. Holly Glen consists of 3 sections, Overlook, Highlands and the original main section. The residents of the place also have the freedom to relish and enjoy numerous luxurious features offered by this outstandingly landscape community that includes open areas, a clubhouse, tennis courts and two amazing pools wherein the one features a slide of 30 feet! In this community, adults and children alike will definitely have a great time taking part in the different activities, cookout events, adult parties, and a whole lot more. Through these activities, new residents are given the chance to feel welcomed and easily blend into the community. Holly Glen has a H.O.A. Home Owners Association. To check out there website click Holly Glen HOA Some of the residents of Holly Glen find them enforecful, but it insures that the subdivision is kept up and looking nice. Make sure you check out the the restrictions to make sure it works for you. The dues for living in Holly Glen are currently $150, and billed quarterly. Overlook started out selling fast with Mc Car builders being the primary builder. Due to losing its funding source during the market shift, K Hovnanian builders finished the development and it didn't take long to sell the remainder of the sites. The Highlands during it's construction featured many different builders. The homes in here had a lot more choices in floor plans, and styles, with the builders being semi-custom. Highlands feature large lots with mature treed settings. The builders and developer did a great job of picking out the floor plans and the quality of materials and homes that's been built. Make sure you check out the Holly Springs Market Report page to download this months report on the overall conditions of Holly Springs housing market. Take the time and learn whats going on locally.